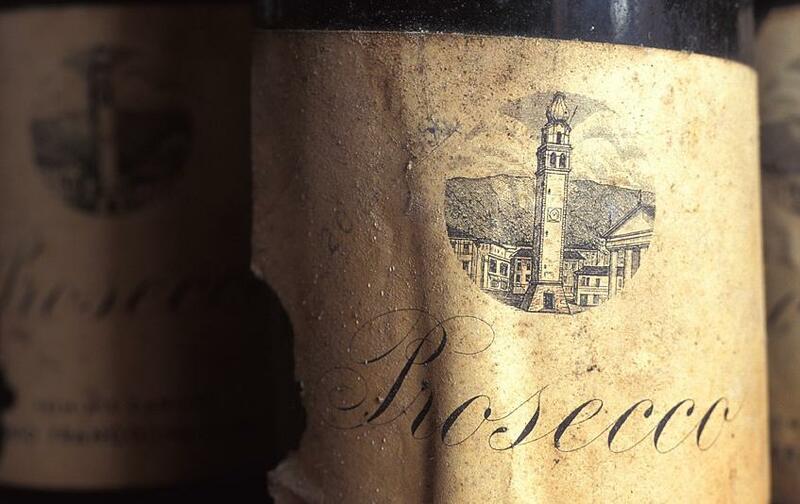 PRIMO Franco, of Prosecco producer, Nino Franco, marked 30 years since he produced his first vintage by hosting a lunch at Hawksmoor restaurant, Air Street, Mayfair. Franco mentions that his choice of restaurant - the latest in the clubby Hawksmoor quartet, and first to offer dishes devised by celebrity fisherman, Mitch Tonks alongside signature steak - happens to lie close to the recently-refurbished five star, Café Royal. It was in those kitchens during the early 1970s, explains Franco with a wry smile, that he toiled as a kitchen porter. After his first shift, during which he confronted "an endless seeming conveyor of dishes", the disorientated, young navvy found himself spending the bulk of his earnings on the taxi home to Acton. The now successful Franco, sporting woollen tie and cotton blazer, displays shards of chalky terroir from his critically prized suntrap vineyard, Grave di Stecca as centrepiece atop the oval table - possibly fooling writers that plaster had fallen from the freshly painted ceiling, or, less likely, that nougat-like amuse bouches had already been served alongside broad glasses of what he termed "premium entry level" green apple and pear-scented Rustico. Franco tells a rapt audience how, having experienced an at times rasping relationship with father, Nino, who had "forced" him away from architecture into wine studies at age 19, he encouraged his own daughters, Marta and Silvia, to pursue whatever path could bring them pleasure. However, Silvia returned of her own accord to the family fold to become international sales manager. It was a fortunate move considering that Franco admitted at lunch to being "ready to sell" had she not. Under her auspices, Franco, who was one of the first winemakers to export Prosecco outside of the Veneto region, hopes output will rise from just under 1.2m bottles per year to 2m, "and no more," he says, adding: "although that will be her decision to take..."
Floral, wheaten Brut NV then 2010's from vineyards 500m apart - Vigneto della Riva di San Floriano with an acceptable Marmite edge, and sage-scented Grave di Stecca, where Franco's wife, Annalisa oversees the Cantine's luxury B&B Villa Barberina - flows. Alongside are tender queen scallops roasted with melon-scented white Port and garlic, and picked Brixham crab on rustic buttered toast. Franco explains that his grandfather, Antonio established the Cantine in 1919 as a response to revitalise Valdobbiadene, a town decimated by its' Austrian occupiers, then albeit well-intentioned Allied efforts to remove the Austrians. However, despite his grandfather's benevolent impulse, Primo Franco's first winemaking efforts were not given easy passage by his peers. "My father died during the 1983 vintage," he recalls. "'Please hold the harvest until he is buried," I begged the grape-growers - "but they left nothing". His resolve strengthened by grief and anger, Franco bolstered the Cantine's large stock of reserve wines with grapes purchased from co-operatives to produce the eponymous and immediately acclaimed Primo Franco wine. "I had to prove myself to the suppliers who didn't believe in me," says Franco. "The problem was, I wasn't part of their drinking club at the local Osteria - I already had a wife who I wanted to go home to." Franco still treasures bottles of that inaugural vintage. "Last week, I held a vertical tasting all the way back to '83," he says. But what is it like now, I ask? "She tastes like fine old Burgundy," he answers. But I wonder why Franco sniffs his now empty glass? "It is almost more important to smell empty glasses than half full ones," he says, theorising that a larger volume of air in the chimney and bowl of the glass amplifies the remaining residue. Glass re-filled, Franco exclaims: "I love fish and chips!" as the waiter, dressed in overly funky clothes which clash, somewhat amusingly, with the smart room brings the "Hawksmoor cut" of turbot, transpiring as a long, char-grilled cross-section of the white, meaty succulent and now crusted fish, with thin, firm, triple cooked chips. Alongside, Primo Franco ‘12 delivers ripeness and richness - testament to its' 31g/litre residual - as well as a focussed finesse and angular acidity. I gather the impression that it is this wine, rather than the considerably more costly, Cartizze ‘12, subsequently offered with plum and apple pie four ways (referring to the variations in custard and cream toppings), which Franco would choose to himself savour. The latter comes closest to the definition of "Extra Dry", a term Franco absolutely refutes. "I blame Brussels for the misleading term which actually describes a sweeter style of wine," he declares, with considerable passion. From back-of-house plate washer in Mayfair to sipping Prosecco crafted by his own hands at the best table in one of Mayfair's newest haunts, Franco remains a vigorous and engaging ambassador for his beloved bottling and the region. As well as employing his daughter, Franco has ensured a future for his estate by recently appointing winemaker, Renato Meneghello. Following a vintage in Australia, the local 25 year-old has been given the brief to "think sustainably, without being Taliban about it."